A few years ago, it seemed that each year saw the announcement of ground-breaking, revolutionary or game-changing warehouse systems. Have warehouses really changed or are the tried-and-tested methods still the best? Order-picking remains one of the most time-consuming and costly tasks in the warehouse. It is relatively easy to shift bulk loads across hundreds of miles – all you need is a large truck, a map and some decent roads. But the warehouse is where the loads are broken down into individual lots and it is from there that the final order will be selected, mixed, packed and delivered on time and in full – or not, if the systems aren’t up to it. Various solutions have been put forward to make storage, picking and packing easier, more reliable and more effective. The greatest leap forward was probably the introduction of barcodes, which provided a reliable and traceable methodology, linked to electronic management systems. So – if barcodes were good, wouldn’t RFID be better? In some cases, yes, but their bulk got in the way initially. Metal in close proximity interfered with the signal, so they can be described as helpful in the right circumstances – but not a ‘magic bullet’. Their acceptance and use is spreading as they become smaller, more robust and less sensitive to a neighbouring can of beans. 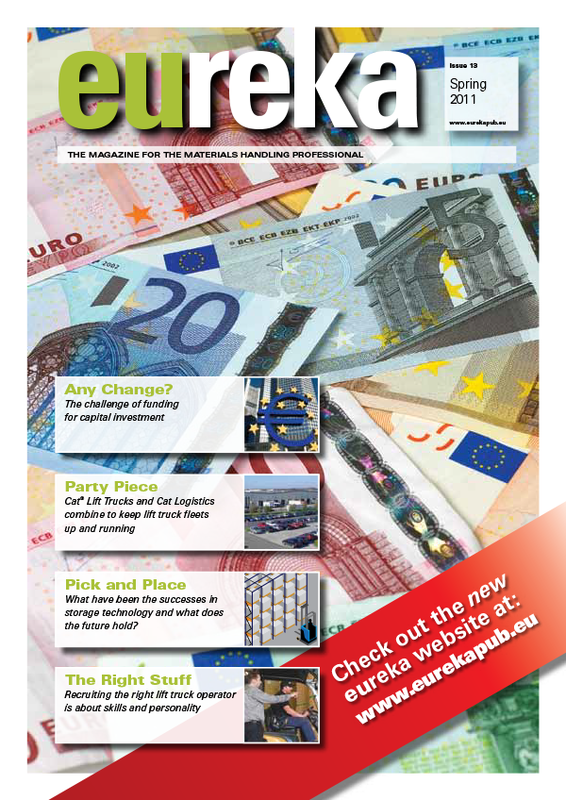 An alternative, the ‘bokode’ was described in eureka issue 11 and has attracted interest, not least because of its information storage capacity but it is early days, as yet, and there has been no indication of a tidal wave of acceptance. The barcode continues to be the reliable technology for warehouse management systems. The overwhelming pressure to get the largest return for investment means making the best possible use of available space, leading to narrow aisles and high racking – which present their own challenges, including accessibility. Personnel working in high-level storage situations need a head for heights and a stable vehicle – the higher the reach, the more that sway will come into play. Cat Lift Trucks was recognised for its efforts at the UK’s Fork Lift Trucks Awards for Excellence ceremony in February 2011. The company received a much-coveted ‘Archie’ Ergonomics Award for its ASC (Active-Sway Control) system for high-level order pickers. ASC is not a simple mechanical system. It features hydraulic pressure sensors and specially developed software, which calculates and applies the necessary counter-movement to minimise sway. It eliminates the uncomfortable feeling of the mast swinging excessively each time the vehicle brakes or accelerates. ASC is claimed to half delays, increasing productivity by six per cent in typical applications. The operator also feels more at ease in the workplace. The current generation of innovation also includes automatic guided vehicles (AGVs) – in essence, specialist robots. Paul Fox, National Sales Manager at Impact Handling, the Cat lift trucks dealer in the UK, has noticed interest in this technology. “It appears to me that a major future growth area will be in the field of AGV,” he said. Like all automated systems, AGVs are available without a break and don’t need holidays – but human beings have to accommodate a variation in their established task. People are adaptable. They can learn new skills quickly and come up with ideas themselves. Automation can be very effective in large-scale, repetitive operations. Those arguments are common to pretty much all types of automation, including carousels, vertical lifts and miniload systems, which help to improve access and speed up the process. In terms of physical layout of racking, the permutations are, in essence, made up of variations on six types. 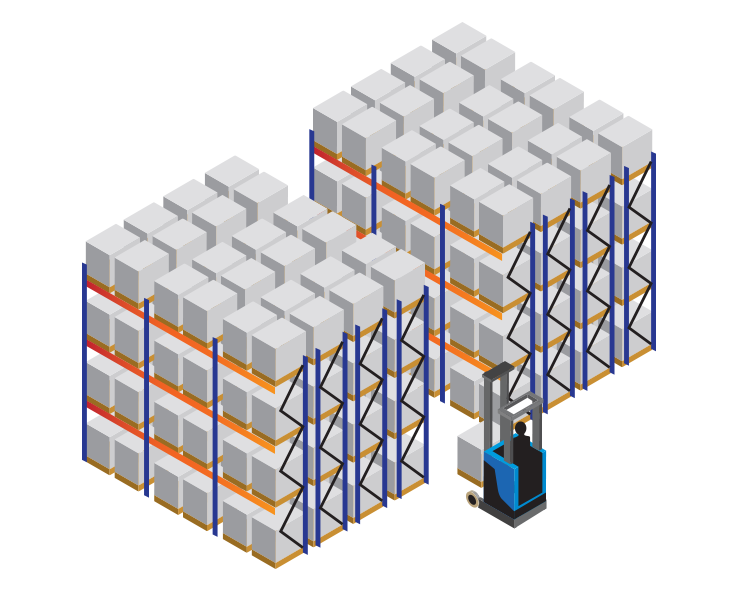 Standard adjustable pallet racking is the simplest, allowing set positions for individual pallets. 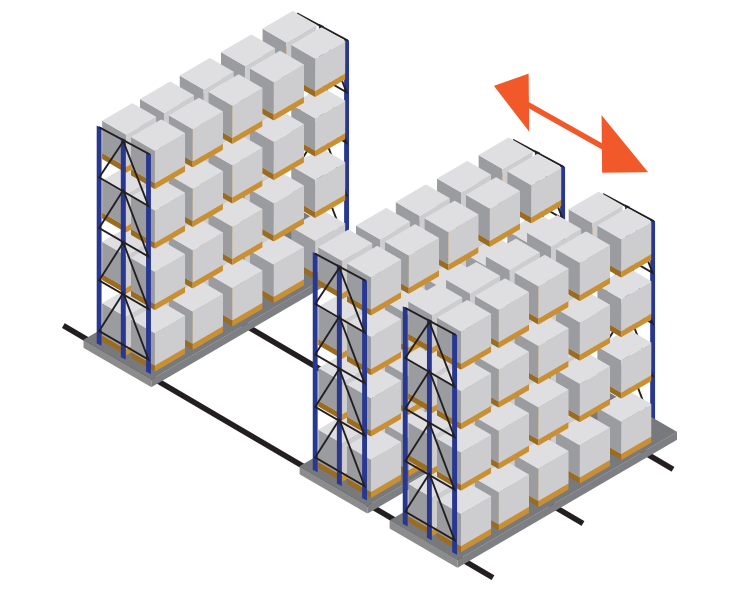 Double-deep racking increases the density of storage but only half the total number of pallets are accessible at any time. It works well in kanban systems and where larger amounts of product lines are held in store and goods move reasonably quickly. 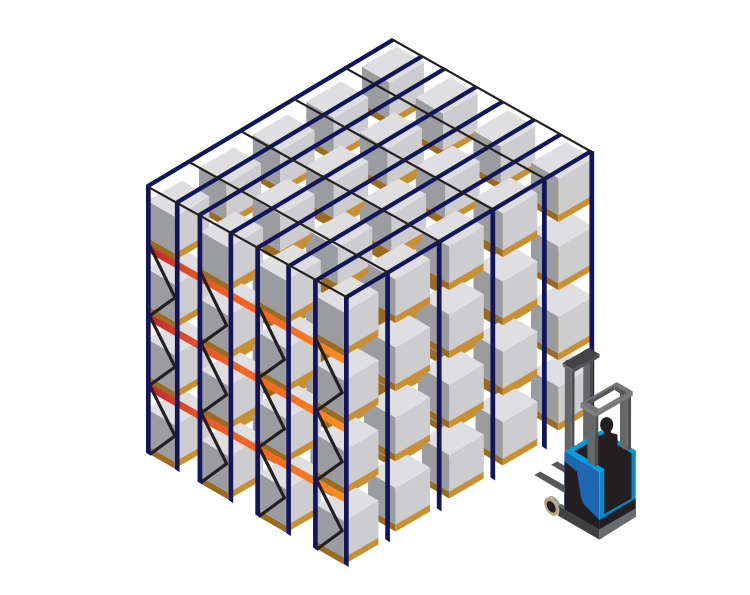 Pallets are stored on longitudinal beams in drive-in racking systems, which dispense with conventional aisles but restrict access to only the nearest units. ‘Live’ or gravity-storage systems store pallets several-deep on inclined rollers, which are loaded from the back. 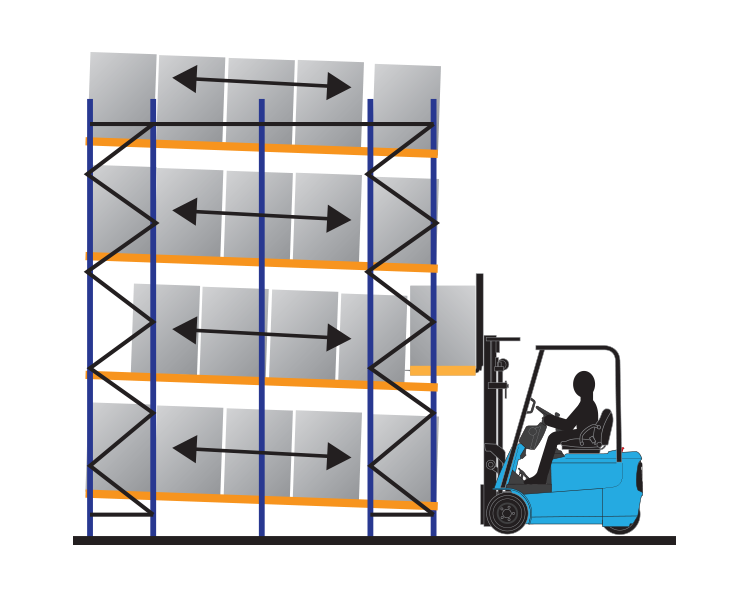 Rearward units automatically slide forward as the front pallets are removed. It is a relatively simple solution that ensures first-in-first-out (FIFO) stock rotation. 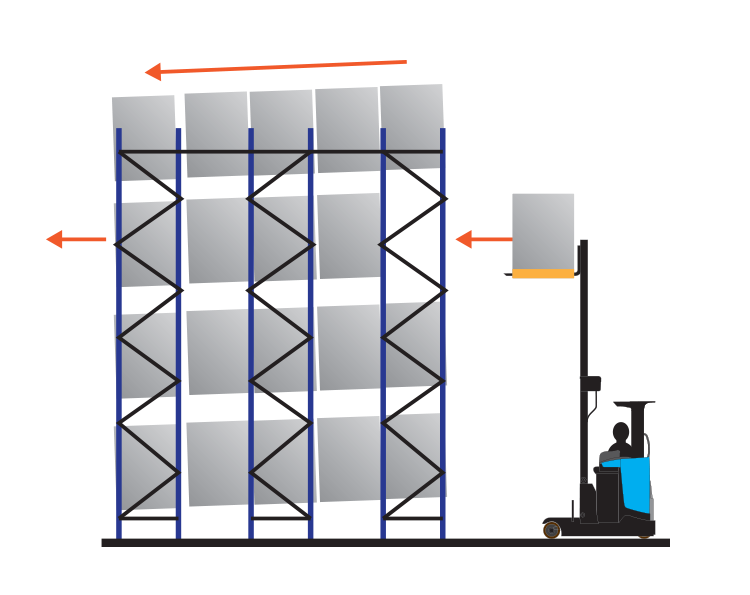 Pushback racking also uses gravity but as it is fed and unloaded from the front, it is not appropriate for situations where stock rotation is critical. 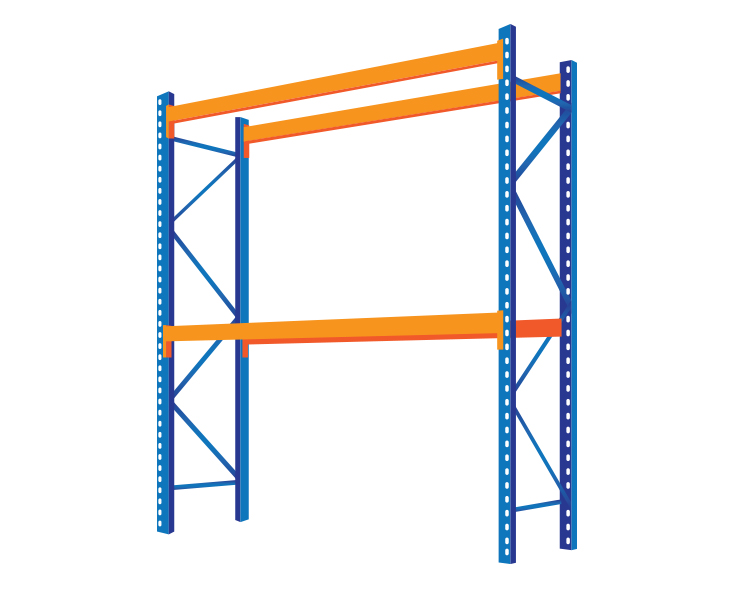 Finally, mobile racking uses powered rails; racks are moved to allow access to the desired shelves. It allows maximum density but access is restricted. In terms of physical layout of racking, the permutations are, in essence, made up of variations on six types. There is one other factor to be borne in mind: the material from which racking is made. Almost every rack in your warehouse, right now, is made of steel – and when steel comes into contact with a lift truck, something is going to be damaged. Either the racking will be bent and have to be replaced, at significant expense and even more inconvenience, or the lift truck will be out of action for a while, being repaired. “Another area of interest is racking protection and protective barriers made out of super strength polycarbonate,” said Paul Fox. “This is an area identified by customers as a massive expense in terms of damage to racking and fork trucks themselves. We are speaking to the world-leading manufacturer of this type of product, in order to assist our customer base with safety and reduced damage costs. The polycarbonate product is stronger than steel and doesn’t bend; trucks effectively ‘bounce off’ them, but safely.” With all these choices available, which is the right solution? “A fully automated warehouse will work extremely well when all products have common dimensions and weights and the products are going to be produced in the longer term,“ said Martijn Ligtvoet, warehouse consultant with Dutch Cat lift trucks dealer, Crepa BV. An integrated, fully-automated warehouse is fast, very reliable and delivers big savings in flow handling time – but no two circumstances are exactly the same. Crepa in the Netherlands, Aprolis in France, Bergé Manutención in Spain and Compagnia Generale Macchine S.p.A in Italy all undertake site surveys to help customers achieve the optimum solution. It will balance manual and automatic operations with storage density in order to achieve the best use of space, personnel and the right mix of trucks for most effective operation. The site survey examines the total costs of process and how the logistics flow. Some dealers also use simulation software, which is a useful tool for showing the customer a visual presentation of how efficiency can be improved, together with financial calculations of the total operation.